There are no comments for Merry Christmas Santa And Animals. Click here to post the first comment. 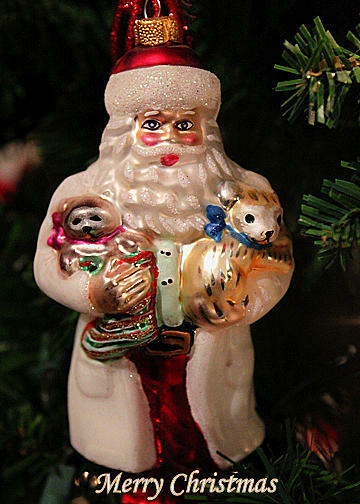 This Christmas Tree Decoration has Santa bringing animals to you for Christmas. Send this to your family and friends as a Greeting Card this year! Click on Greeting card and put your special Christmas message inside.